Hoorah, summer is finally on its way! After months of laying unused, your air conditioning system will most likely be in need of some TLC before it’s ready to cool your home, office or shop when the temperature begins to rise. It may seem a bit early, but by preparing your unit in Spring you can ensure it is working efficiently during the months when you need it most. We recommend carrying out seasonal maintenance as this will help to extend the life of your unit, keep germs at bay and help to reduce your electricity bills. 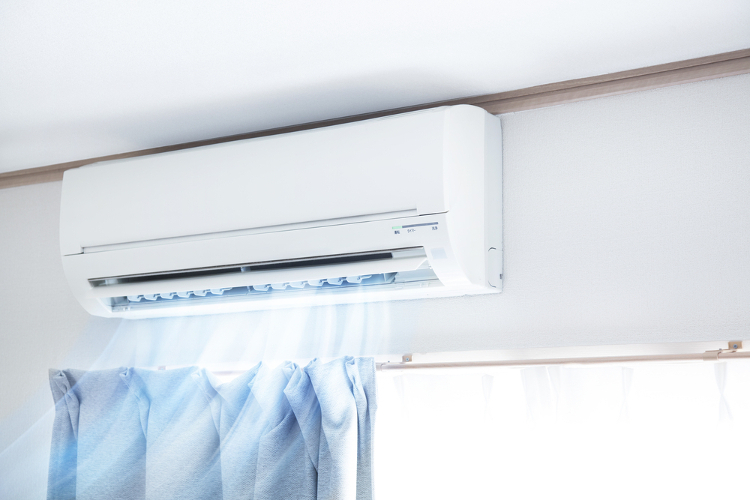 Luckily, there’s a few simple things you can do in between annual servicing from our experts to keep your A/C performing at its best, read below for our step-by-step advice. Important: Ensure you have switched off the power supply to the unit before cleaning to avoid electrocution. Clean the filter of indoor units: The filter traps contaminating particles and airborne pollutants before they reach the coil, so it is essential it is cleaned/replaced regularly to ensure the air conditioner can ‘breathe’. If the filter becomes blocked with dust, dirt and debris your unit will not run efficiently and may even break down! Make sure the finned coil behind the filter of the interior unit is clean and unblocked: If your A/C isn’t blowing cold air and/or the airflow is very weak then the evaporater coil may be blocked. If this is the case, we recommend giving us a call as this part of the system is delicate and requires care when cleaning. Make sure the finned coil of the outdoor unit is clean and clear of obstruction: It is equally important to check the outdoor condenser coil to ensure proper airflow and heat exchange. If your outdoor unit hasn’t been protected by a cover during winter, you may find it is blocked with leaves, weeds and dirt. Gently clean away any debris with a soft brush and ensure that there is at least 2 feet of clear space around the unit. Clean down the vents to remove dust and debris: Use a small duster or paint brush to get in between the slats. Check all the settings on the controller and test the unit: You should notice a difference in temperature within minutes of turning your A/C on. If your unit still isn’t running properly, contact us to investigate the problem. Leak testing all of the pipe joints to make sure the system is gas tight: Even a small leak can lead to big drops in energy efficiency and failure of other components. Check electrical connections and contacts. Use specialised air conditioning anti-bacterial fluid to clean plastic filters and odour fresheners. Also, if your air conditioning has an effective rated output of more than 12kW then a TM44 should be carried out every 5 years to help identify energy-saving opportunities. Contact us to arrange an assessment.